The family photos, the kids’ report cards, the irreplaceable pieces of your life. When disaster strikes at your home, your mind doesn’t wander first to the wellbeing of the ceiling fan or the duvet cover, it goes to what matters most. Once you know your family is safe following a fire, flood or another damaging event, the next thought goes to what happens next. That thought should be to call Kelley Klean to assist with restoring your property and the valuable items that were damaged in your home. Kelley Klean is a full-service restoration company that can take on all types of contents cleaning projects. From removing smoke odors and cleaning your inventory, to de-odorizing your office furniture, we can handle it all. Servicing the Columbia, Jefferson City, and Central Missouri areas, we are the proud contractor of choice in the Mid-Missouri area. If you are interested in learning more about how we can restore contents on your residential property loss, need commercial contents cleaning or would like to speak with one of our estimators for a quote, give us a call at 573-214-0990. While some restoration projects require countless contractors to deal with electrical issues, furniture restoration, mold remediation and more, we have technicians qualified in each area to provide peace of mind for those clients who give us a call. Homeowners have a large amount of electronic equipment throughout their property; sometimes 2-3 different types in each room. Regardless of the type, the value of each item can really add up. This can include televisions, laptops, computers, MP3 players and tablets. If property damage strikes your home, how could these items be salvaged without needing to replace? When you choose Kelley Klean, you are hiring a contractor with 30 years of experience restoring properties to their original condition. We also have the capabilities to restore electronics in an off-site location. When cleaning electronics, you need to choose a company that understands the specific nuances. With the use of low pressures, light spray systems and supervised drying chambers, Kelley Klean can help restore damaged electronics back to their original state. Many times, when our clients call us to restore documents; they need a quick and fast response. These documents typically include either sensitive data, back-up records, or could be photos that simply cannot be replaced. We use cleaning techniques that are geared toward desiccant drying in order to avoid cleaning solutions that could damage the document. In addition, if the document was exposed to mold, fire or smoke, we can utilize tools with HEPA filters to assist in removing any debris, smoke, odor or hazardous particulates. Every situation is different, which is why we need to send out a trained technician to evaluate the types of documents you need to be restored. Depending upon your situation will determine the process we choose to restore your documents. Once we understand the type of damage we are facing, we can recommend to you a solution that could include desiccant drying, freeze drying or other types of methods. In water damage situations, your window of opportunity to save wet documents before irreversible damage is 24 hours. At Kelley Klean, we can act fast, and handle your document restoration needs with a sense of urgency and sound strategy. We follow a strict restoration process that catalogs, restores and returns the contents in your home with as little downtime as possible. 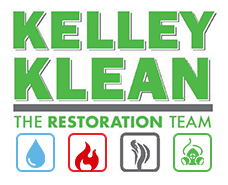 With 24/7 emergency response and priority and extensive experience restoring residential contents after a property loss, Kelley Klean can be the solution you need to restore your home and life. Contents damaged in your Home after a Property Loss? If you have experienced a fire, water loss or mold damage to your home, most of the time, those items can be salvaged. We understand that many of the items in your home are irreplaceable, so we will take extensive measures to restore those cherished pieces. Established in 1986, we are the contractor of choice in Mid-Missouri. We service the Columbia, Jefferson City, and Central Missouri areas. We have access to state of the art contents cleaning facilities that can restore any content that is salvageable. If you experienced a property loss to your home, and need valuable and special items restored from your property, give us a call at 573-214-0990!